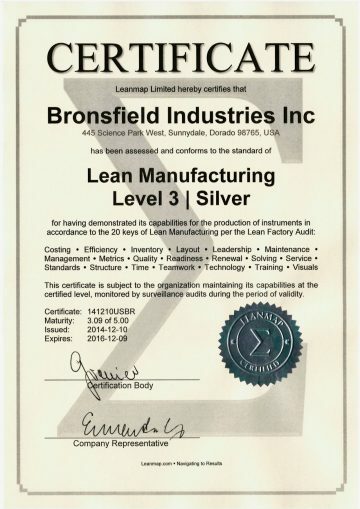 Get your company formally assessed by a Lean expert, and certified after passing a physical audit at maturity level 2-Bronze, 3-Silver, 4-Gold. Lean standards allow manufacturers and service companies operate efficiently and effectively. 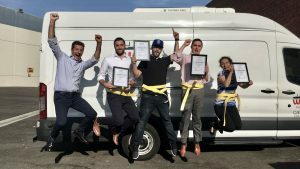 They increase productivity, shorten response times, and help companies capture new customers and gain access new markets through rapid response and just-in-time delivery. 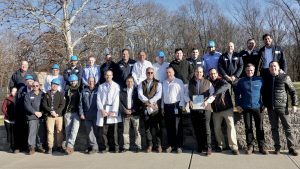 The Lean certification process provides coaching feedback and formally recognizes the team for advancing their operation, while. 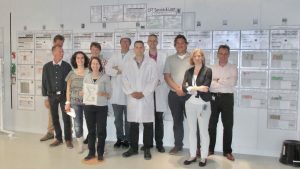 creating motivation and insights to prepare for the phase on their Lean journey. Maturity is measured on a five-point scale, ranging from the lowest level “Iron” (1) to the highest level “Diamond” (5). From all companies that we have assessed to date, 97% scored in the range 2-3-4, operating at Bronze-Silver-Gold level. Each of those maturity milestones are characterized by a distinct (a) Starting point, (b) Focus for improvement, and (c) End point. 1. Preparation: the sponsor specifies the purpose of the audit, to be either benchmarking, self-assessment, progress measurement, or opportunity discovery, and nominates the members of the audit team to include representatives from all key functions that make up the assessed site or value stream. 2. Audit Tour: the members of the internal team walk together with the external auditor through their value streams in flow direction from input to output, evaluating people, processes, setup, and system. 3. Checklist: the audit team meets in the conference room for a guided self-assessment, moderated by the external auditor or internal team leader. The moderator ensures that a certain level is selected only when all stated criteria are attained. 4. Analysis: translating insights into improvements. Led by the external auditor or internal group leader, the team decides on an ambitious yet realistic advancement rate, taking the target minus baseline, divided by the number of years to accomplish the target. 5. Certification: After the progress measurement is established, the team compares it against the goal they have defined during the previous audit. Two things must occur for certification: the target maturity has been attained at an advancement rate of +0.15 per year or higher. 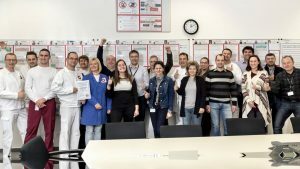 Lean Service Certificate for office operations. 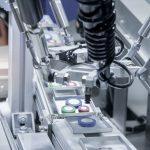 At least two measurements are required to confirm that the audited organization has truly achieved the level of maturity as assessed by the Lean Audit score. The certification process is an extension of the auditing process, which provides both the baseline and subsequent progress measurements. And how does this work in practice? Suppose an organization measures 2.7 on the first assessment. This initial measurement does not warrant a certificate; rather, it establishes the baseline for a certificate. Several months later, the audit is repeated to determine progress relative to the baseline. As an example, consider the case study discussed earlier. Post-audit, the team was able to move the needle by +0.4 to 3.1 on the maturity scale, which justifies awarding a Silver certificate. Tracking maturity is like tracking atmospheric pressure with a barometer: it provides a clear indication of improving weather. Maturity gain, as established by the 20 Keys, is therefore a leading indicator that complements financial reports in an ideal way indicator that complements financial reports in an ideal way because they are comprised solely of lagging indicators. What does this mean? If a company makes fundamental changes to its setup or structure affecting capability, it will quickly be reflected in the maturity score, but it may take months or years for it to affect financial reports. The 20 Keys are therefore a kind of weather forecast for future operating performance. Principles and processes are described in detail in the Lean Audit book. 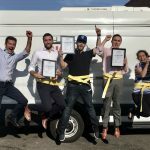 When certification occurs, the event should be formally communicated and celebrated in the same (or similar) fashion that a company celebrates when they meet a significant financial goal or capture a new valued client. Why celebrate? Because more mature companies do better than less mature ones, so an improving score in the Lean Audit—along with certification—suggest better operating results in the near future. It is a good reason to recognize people for their extra effort to move the organization forward. 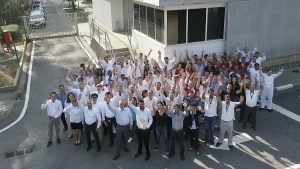 "The process of the audit itself is enlightening to all participants and as each answer is agreed within the team, gaps and next steps are very clear to them." 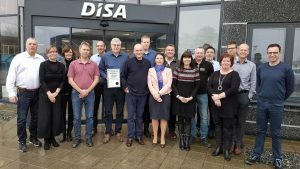 The Danish manufacturer of foundry equipment reached Silver, while improving schedule-adherence from 33% to 82%, cutting rework and overtime by 50%, increasing productivity by 20%. 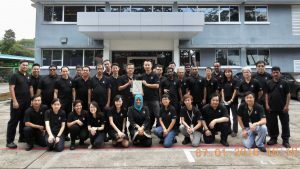 Three years on its Lean journey the Indonesian team streamlined manufacturing-logistics chain, maximizing throughput to better serve the growing demand of Southeast Asia’s largest economy. 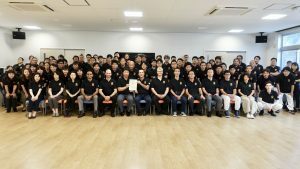 Factory assessment confirms that the Fukuroi operation matured to ‘Silver-Gold’ level; now able to serve the Japanese beverage industry with quick-turn and highly flexible deliveries. 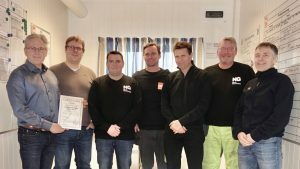 Norsk Gjenvinning’s metal shredding operation in Øra near Fredrikstad has made the Silver mark by attaining maturity level 3.0 on the five-point Lean benchmarking scale. 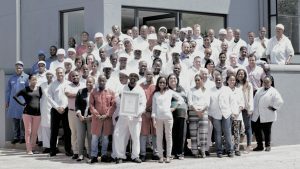 In pursuit of Operations Excellence the factory team in East-Hanover significantly improved first-pass yield (FPY) and on-time delivery (OTD), producing flavors with much improved consistency. 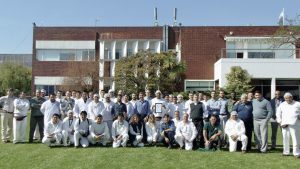 Team São Paulo matured its food-ingredients factory to level 3.5 on the five-point benchmarking scale; received ‘Silver-Gold‘ award for achieving breakthroughs in yield and productivity. 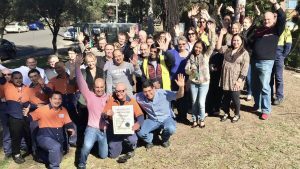 Continuous effort over nearly five years paid-off: by systematically upgrading skills and capabilities, the Woodlands-team was able to significantly increase right-first-time (RFT) and labor productivity. 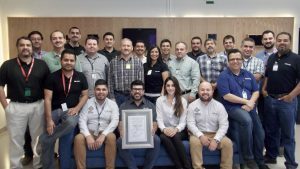 Navico’s maquiladora in Baja California received the ‘Silver‘ award for attaining maturity level-3 in Lean Manufacturing, boosting productivity 42% year-on-year and 1100% over seven years. 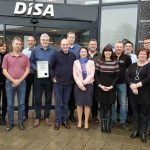 Two flavor factories received Silver-awards for scoring 3.0 points on the Lean Manufacturing benchmarking scale, while better delivering liquids and powders to the food industry. 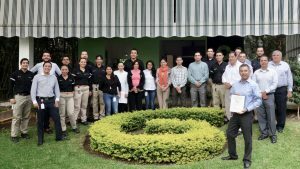 A comprehensive Lean rollout brought the operation in Cuernavaca to ‘Silver‘, covering the value-chain including planning, production, logistics, customer service, maintenance, quality, and human resources. 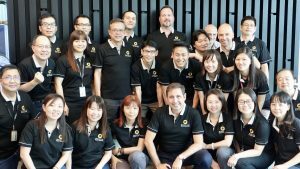 The Dutch team was first setting up the performance management center, the central place where the cross-functional team meets daily to plan and solve problems. 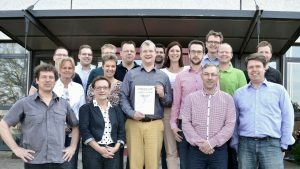 The team in Dortmund benchmarked its factory and matured it over a two-year transformation period to ‘Silver‘ level, scoring 3 points or 60% operational excellence. 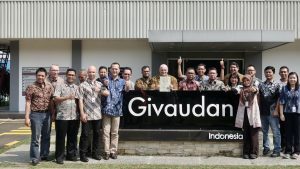 Lean Audit confirms ‘Silver’ maturity for Givaudan’s major processing plant in Switzerland. The site was first to make the ‘Silver‘ mark, attaining maturity level 3.